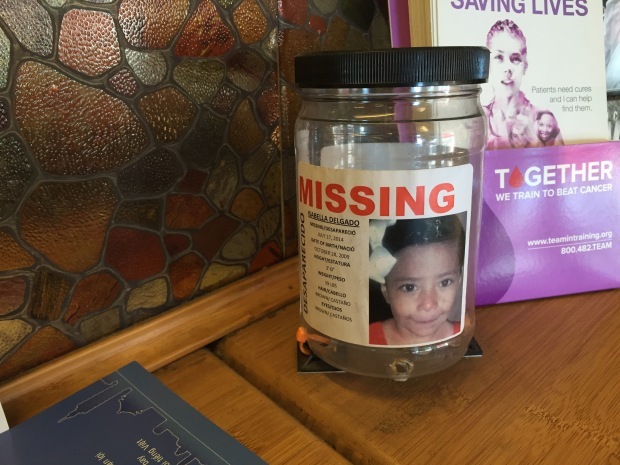 The plastic jars with the word “MISSING” on them sit beside cash registers at diners, gas stations, and such all over the Bay area. A child’s picture fills the front, while pennies, nickels, dimes, quarters, and, occasionally a dollar bill, sit inside. The canisters raise many questions. Does the change actually add up to anything? Who gets the money? And who are the kids on them, anyway? The answers to those questions have prompted parents of some missing kids to speak up. Andoni Petroutsas is missing. Yet, his father can tell you where he is. “I think he’s in a suburb of Athens,” said George Petroutsas, a Redwood City chef. Petroutsas says Andoni's mother, who is Greek, took him to Athens in 2010 and never came home. “She just kept him there,” he said. So, imagine George’s surprise when he stopped at a Palo Alto gas station and saw Andoni’s picture on a donation jar. Google Express Charging for Free Trial? George had given Andoni's photo to the government-backed National Center for Missing and Exploited Children. But not the group named on the canister, Child Watch. “[Andoni] didn’t choose this,” Petroutsas said. “And that’s the sad part." Petroutsas contacted us to see what we could learn about Child Watch. Child Watch is a registered charity. Its website says it helps rescue missing children. Services are said to include free investigative help and poster distribution for families of missing kids, as well as money for travel expenses. Registration documents show it is headquartered in a house near Orlando, Florida. By phone, founder Don Wood confirmed that Child Watch copied Andoni’s photo from the national center and put it on donation jars without asking. We asked why Child Watch chose to use his picture without George’s permission. We asked whether his definition of success meant fundraising. “No,” Wood said. “Trying to find him." But George says Child Watch didn’t take any additional steps to try to find Andoni. NBC BAY AREA: How much money did you get from Child Watch? NBC BAY AREA: How much did they investigate on your behalf? 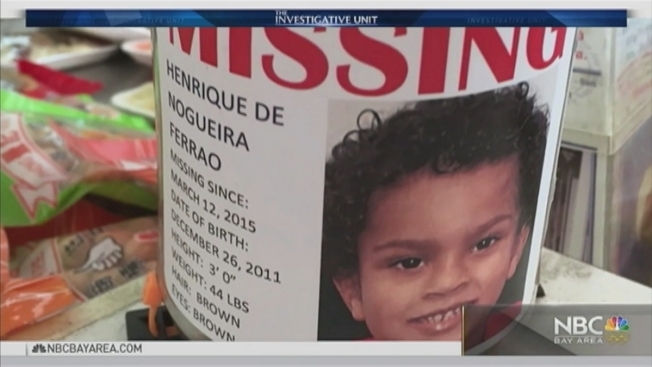 NBC BAY AREA: How many posters did they print with your son’s picture to help find him? Andoni's genuine missing poster is listed on the National Center for Missing and Exploited Children website. Child Watch eventually removed Andoni’s photo. But only Andoni’s photo. We asked if Child Watch was using anyone else’s photo -- without permission. Case in point: Henri Ferrao. “He certainly didn’t secure authorization from me to do this,” said Henri’s dad, Charles. Ferrao says Henri and his sister Helena were taken to Africa by their mom. He learned from us that Henri’s picture was plastered on a donation jar. “I was reviled seeing that photograph,” Ferrao said. We found Henri’s face in a San Jose diner collecting cash that did not go to his dad. We asked Ferrao the same questions we asked George Petroutsas. NBC BAY AREA: How much financial support did you receive from Child Watch? NBC BAY AREA: How much in the way of investigative services did you receive from Child Watch? NBC BAY AREA: How many posters did they print for you? Henri's genuine missing poster is listed on the National Center for Missing and Exploited Children website. We reached out to the National Center For Missing and Exploited Children, which runs the official missing kids database. Robert Lowery, vice president of the Missing Children Division, said Child Watch might not be breaking the law, but it is clearly violating national center policy. He said its photos are for raising awareness, not raising money. But fundraising is exactly what Child Watch is doing. In response to our questions, Crisis Relief Network downplayed its scale. Yet, it acknowledged placing 1,200 of these jars in three of the country’s most populated states: Florida, Texas and California. Tax filings with the Internal Revenue Service show contributions of $3.8 million the past five years. “There are a lot of problems with the Crisis Relief Network,” said Daniel Borochoff. Borochoff is president of Charity Watch, which scrutinizes nonprofits. He's concerned that Crisis Relief Network runs five charities from a home with just four people -- three of whom are in Don Wood's family. Borochoff also red flags its tax returns. For example, hundreds of thousands of dollars in fundraising expenses – including telemarketers - labeled “awareness campaign.” Borochoff told us he can't decipher where donations actually go. “I would strongly advise donors not to contribute to Crisis Relief Network,” he said. Don Wood insists his accounting is sound. “Allocating expenses in this manner is common practice with nonprofits,” he said. Wood put us in touch with two parents of missing kids. One said he received “a couple grand." The other got $1,800. Charles Ferrao wonders where the rest of the $3.8 million went and how much of it Don Wood collected using his son’s photo. Midway through our investigation, Crisis Relief Network told us it will no longer use kids’ photos without permission. “In hindsight now, and after this situation, we will change our policy,” Wood said. However, it will continue collecting money. George Petroutsas says don’t donate on an impulse. Do research before dropping coins into a bucket on a counter. “Nobody says you have to give right there and then,” he said. Charles Ferrao wants law enforcement to investigate Crisis Relief Network. And stop it.